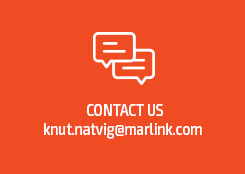 Luxembourg, 17 September 2018: Satellite services and solutions provider Marlink has contracted SES Networks’ fibre-like connectivity to enable new low-latency services in its enterprise portfolio, SES announced today. With a highly differentiated range of satellite-based solutions, Marlink is expanding the options and value it offers to meet the evolving demands of its customers. The contract enables Marlink to leverage SES’s O3b medium earth orbit (MEO) constellation for big data applications that require fibre-like performance. With round-trip latencies below 150 milliseconds, the performance of MEO-enabled networks is equivalent to that of standard fibre connections, while also providing greater reach and faster deployment times. These high throughput services will complement Marlink’s existing portfolio of geostationary (GEO) services for utilities, renewable energy, oil and gas, civilian governments and other industries. “This new agreement contributes to the continuous expansion of capacity and diversity in Marlink’s hybrid network solutions and smart routing, with the low-latency link on the O3b fleet especially attractive as we develop certified and future-proof integrated services for our diverse enterprise customer base,” said Olivier Gommes, Director Technology & Innovation – Enterprise at Marlink. “The O3b high-speed connectivity we have been providing for the last four years has been extremely successful in meeting the needs of big data applications. By adding the O3b services to its portfolio, Marlink will now be able to reap the benefits of MEO and offer more differentiated solutions for its customers’ digital transformation plans,” said Simon Gatty Saunt, Vice President, Sales Fixed Data, EMEA at SES Networks.